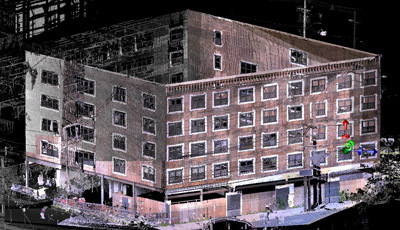 Are you looking for laser scanning in North NJ? 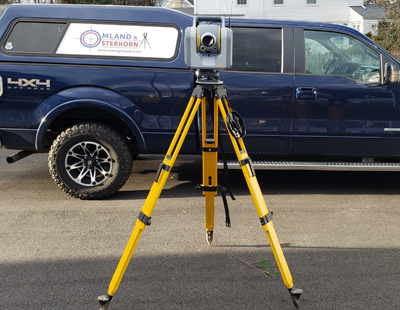 Omland & Osterkorn, Inc. has been providing laser scanning in North NJ for many years with vast experience and great customer care. 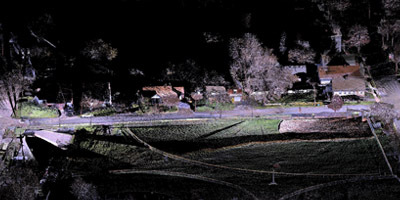 Using laser light (LIDAR technology), 3D Laser Scanning captures spatial data. 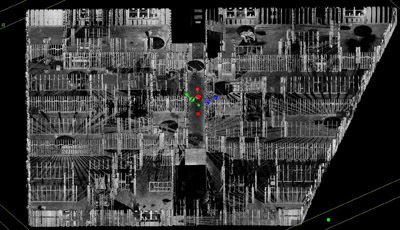 This data is the position, shape, and spatial locations of objects. 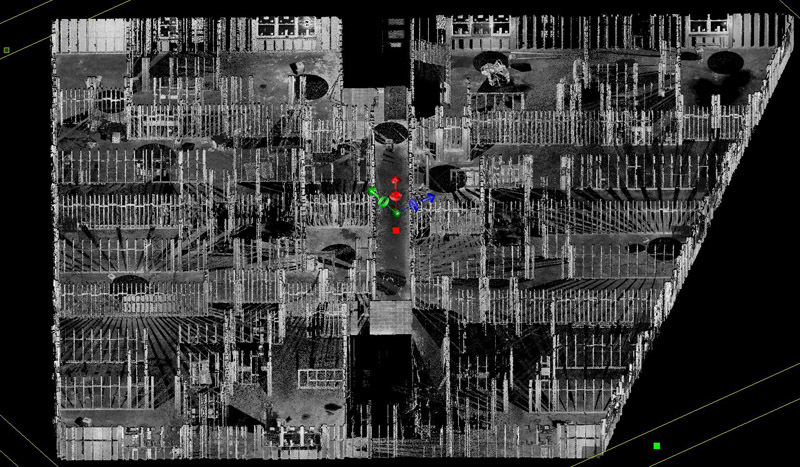 It is recorded by millions of points, each with an X,Y,Z coordinate, causing the creation what is known in the industry as a "point cloud". 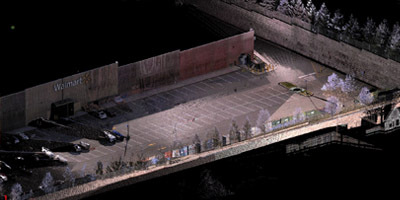 The LIDAR (Light Detection and Ranging) technology that Laser Scanning uses emits a laser light at an object and analyzes the returns by calculating the time of flight of the beam. 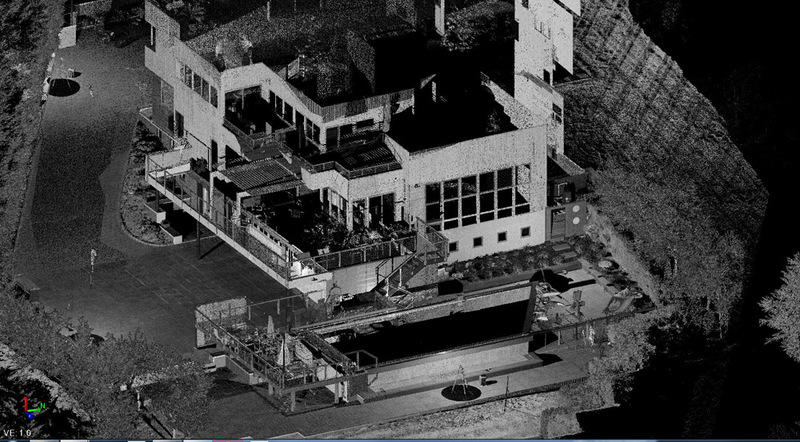 The level of detail captured by Laser Scanning is very high. 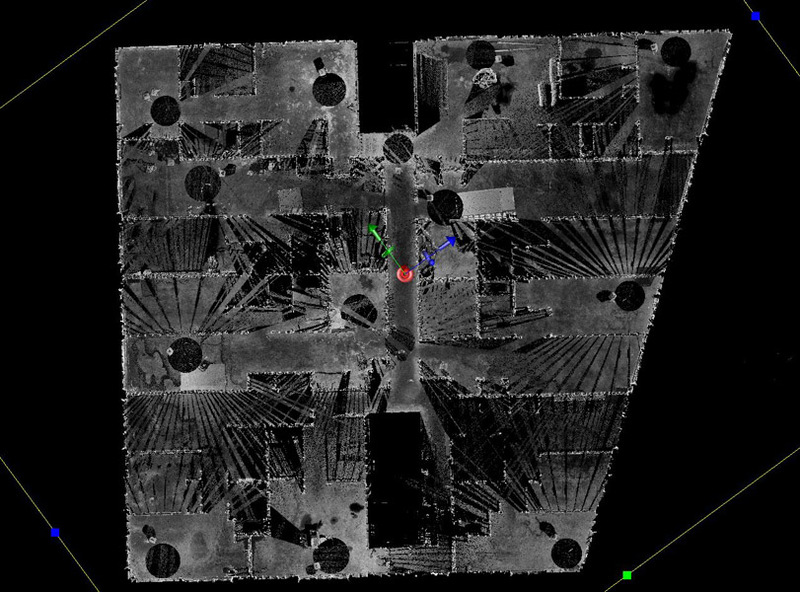 Laser Scanning also gives point coordinates at a spacing down to millimeter point spacing while most topographical surveys collected with GPS and conventional surveying usually give a single point with an XYZ coordinate anywhere from 10-50 feet apart. Surveying of busy street intersections - eliminates need for police traffic control. As-Built Surveys for exterior or interior building renovation, retrofit, remodel, expansion, or additions. 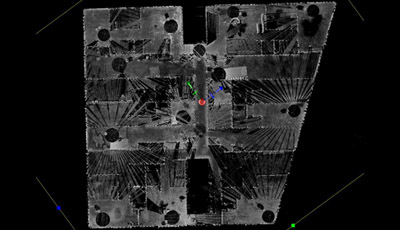 The raw scanner data, or 3D point cloud, can be used with software to view, pan, zoom, and rotate in 3D and obtain instant point to point measurements from. 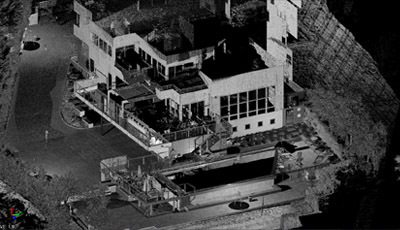 Omland & Osterkorn, Inc. can evaluate your project and let you know if Laser Scanning is right for you. 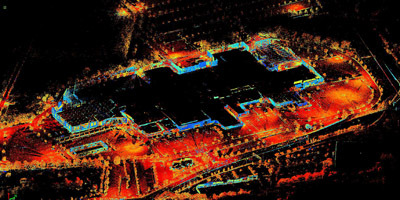 For more information about laser scanning in North NJ, speak to one of our surveyors at 973-647-7820. 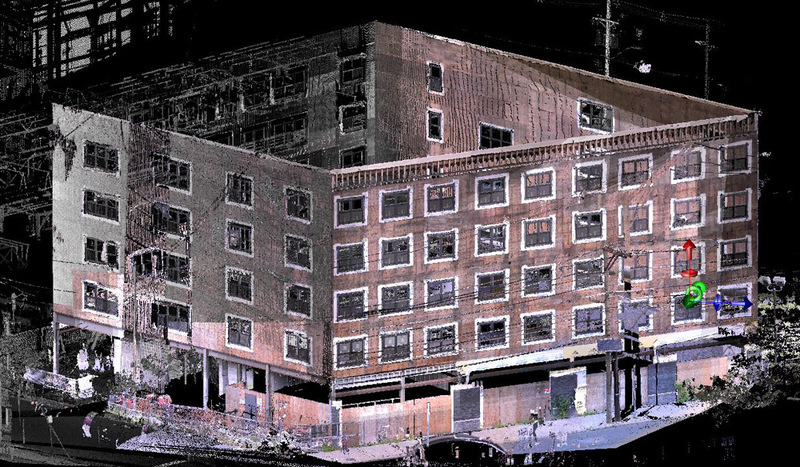 Omland & Osterkorn – Your Trusted Source for Laser Scanning in North NJ.